Ah, another wonderful offering from Montreal’s excellent experimental label Jeunesse Cosmique! This little cassette/digital release is sure to enthrall. You’re given a batch of songs and a set of coordinates. What do you do to make them match up, to give a reason to the sounds you hear and the places you witness in the noted locations? Turkey, France, Sardinia. Waves of noise, attached to a place, but alive on the internet with nowhere in particular to be ‘from’ anyways. 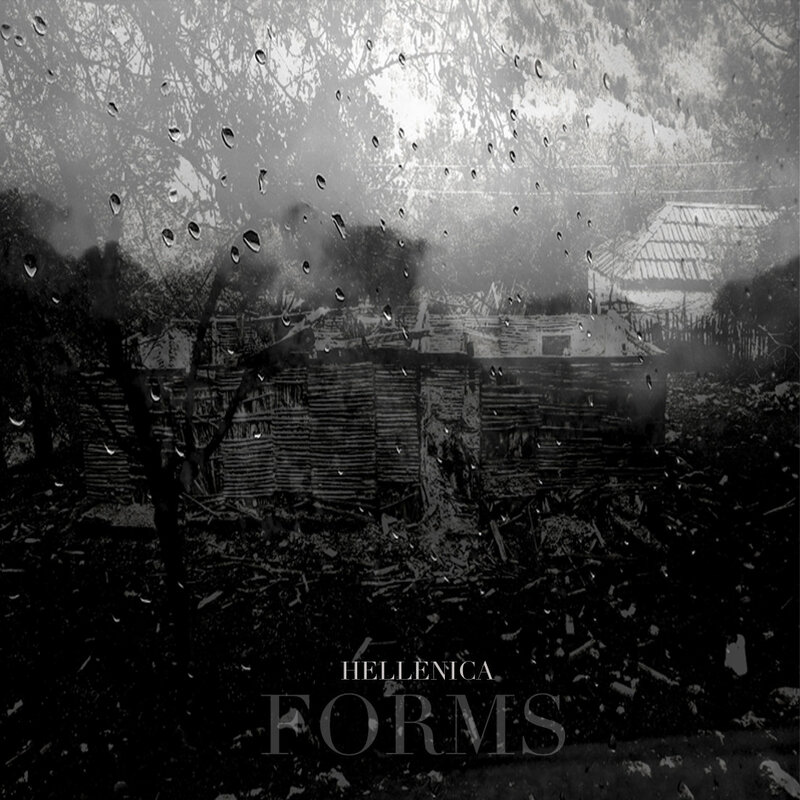 Hellenica’s Forms offers a puzzle with no answer. There doesn’t really need to be one, anyway. Jim Demos is the demon at the heart of the machine, crafting an album that sounds full and empty at the same time. There’s distance built into each track — a range of escape for constructed noises, somewhere for them to drift off to when they becomes too manipulated or enclosed. I’ve never been a big fan of the E-bow — whenever someone pulls one out at a concert, it pretty much guarantees my swift move to the exit — but, crumpled in with loops, delay, a shupershifter, and oodles of other gadgets for tweaking and noodling with, the dreaded tool is easily submerged in the whole weight of what’s to be created. There’s uniformity of vision at work all over Forms, even if the tracks alter from coordinate to coordinate. Opener “37.2231°N 38.9225°E” is a swaying horn of synth notes that slowly fades into something more hymnal, as if the only way to hear the quiet at the end of the track is to have first felt the regular, repetitive weight of the beginning. “46.3740°N 0.0675°W” shuffles along with a bed of acoustic guitar to lay upon, while synth permutations glitter across the surface, synthetic flute lines quietly continuing the spirit of the sound, even as they’re chopped up and displaced. There is so much worth hearing on Forms. I’d like to tell you more, but it wouldn’t be right. You’ll just have to hear it for yourself. Jim is a hell of musician.